Raising kids takes work, courage, love, understanding and much more. As a parent, you probably sometimes wonder or worry about how to raise your child or if you’re doing things right. How can we raise our kids to be happy, confident, caring and understanding human beings? 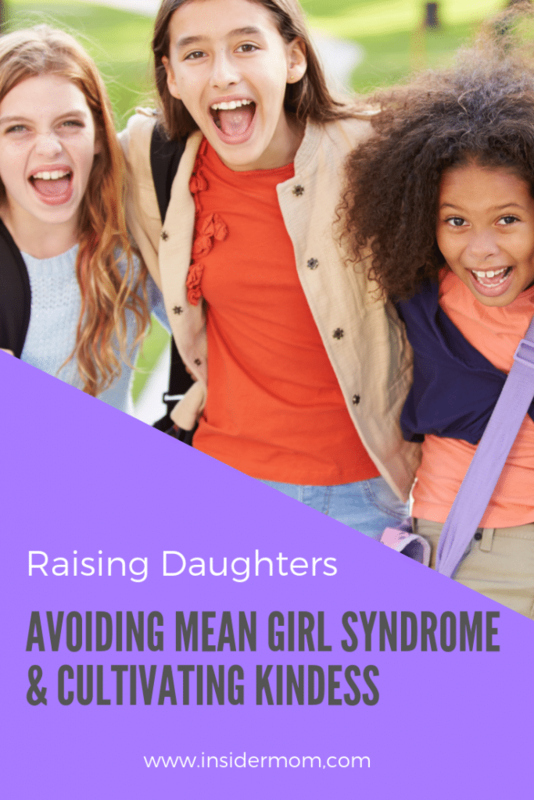 Chances are if you have a daughter, you’ve wondered how to best avoid ‘mean girl syndrome’ and steer her away from negative and hurtful behaviors. The fact of the matter is, as parents we can make a difference, but we also have to acknowledge the fact that peers, various environments and experiences they have and people they surround themselves with can have an impact on them as well. Sometimes we have to look in the mirror and work on ourselves too. We as parents influence our children’s behavior. How we deal with disagreements, how we handle arguments and how we interact or talk about other moms, parents and people also significantly matters. We have to constantly work on ourselves and we can mess up, but knowing and acknowledging where we go wrong matters. You’ve probably heard the expression that ‘kids are like sponges,’ they absorb and learn from everyone and everything around them and the early years are crucial in helping to form their confidence, self-esteem, behaviors and understanding about the world around them. While we can’t expect perfection from our kids or ourselves, we can try to help each other cultivate kindness, learn and grow. 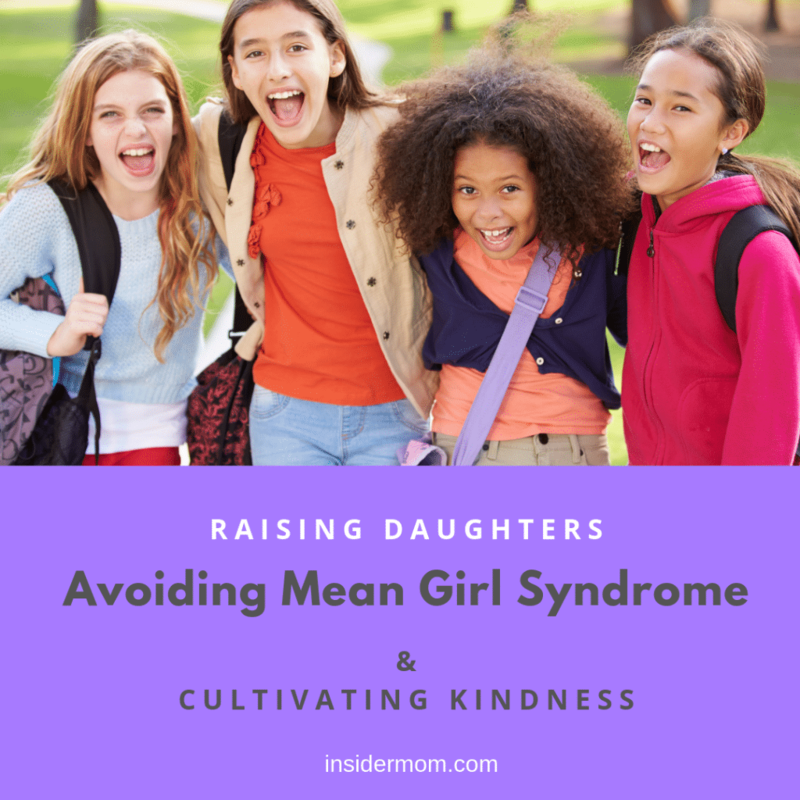 Through reading parenting books and articles, I’ve come to the understanding that negative or mean girl behavior can start at a very young age and go on for years. As a mom and parent of a daughter it really concerns me. I’ve also realized that the us vs. them mentality doesn’t work in parenting and these are issues many deal with. I’ve also realized that many films, books and TV shows perpetuate the myth of an evil bully or kids that are just either bad or good…which can be a pretty harmful way of thinking. Behavior especially when it is reoccurring can be very hurtful and harmful and should be addressed, if someone at school is bullying your child or if your own child is showing that behavior you need to talk about it and address it, but it’s not always easy to know how. Often times both the child that is showing such behavior and the one that is the target of it are affected by circumstances that lead to such issues and affect them. Most of us parents love our children and see them at their best and at their worst, but we also have to acknowledge the fact that our own kids can have the capacity for kind or harmful behavior with others and their environment will influence them. But how do we help guide them to take better actions, to be kinder and to also react to situations in a beneficial manner? As parents it can be understandable why we would care about the achievement and happiness of our kids, they matter a lot, but cultivate caring in our kids and ourselves matters too. As emotional beings no individual is perfect and parenting can be stressful at times. We might not be aware of the fact that raising our voice or saying something a certain way about someone can be hurtful and model negative behaviour, but when we know and become aware of it ourselves and it’s pointed out, we can work on it and in turn it can benefit our kids as they see us trying to improve. When it comes to raising girls in particular there are some behavioural differences. Family psychologist and therapist Katie Hurley, author of “No More Mean Girls,” discusses how girls can show hurtful behaviour in the form of social and relational, rather than physical aggression. Using words, spreading rumours verbally or through social media, using humiliation on or offline, direct or indirect, spreading such information through peers in their community or school. She also discusses strategies on curbing such behaviour so it doesn’t become a repetitive pattern…encouraging specific activities among grade school girls she’s worked with. When it comes to raising our daughters, there’s a lot to learn, but there are resources available to help guide us as parents, we just have to actively seek them out. Chances are you might have had personal experiences that help you have conversations with your own child. As a mom of daughter who will soon enter grade school, there are things I would like to learn and be prepared for. I know that as parents we can only do our best and we can’t always guide our kids every step of the way in the their behaviours and what they do. They will make mistakes, fall down, make wrong choices or display less than pleasant behaviours at points in their life, but perhaps if we start early, consider helpful parenting advice, books and research, we might be able to help cultivate more caring and kindness in them (and ourselves).